Thirty eight year old glass technician Julius Watkins pleaded guilty to having 960 grams of cocaine for the purpose of trafficking when he appeared before Chief Magistrate Ann McLennan in the Georgetown Magistrates’ Court. The court heard that between September 12-15 at the Georgetown Public Hospital and Woodlands Hospital he excreted 114 “round-like” objects. 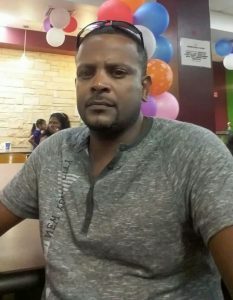 Facts surrounding the matter states that on September 12 Watkins was an outgoing passenger on a Fly Jamaica flight destined for Canada when he was seen acting suspicious at the check in scanner at the Cheddi Jagan International Airport. He was questioned by Customs Anti-Narcotics Unit (CANU) agents, then taken to CANU Headquarters then to the hospital where he was admitted. After he was discharged, the pellets were weighed in his presence at CANU and amounted to 960 grams. Chief Magistrate McLennan also fined Julius Watkins GYD$2.5 million.